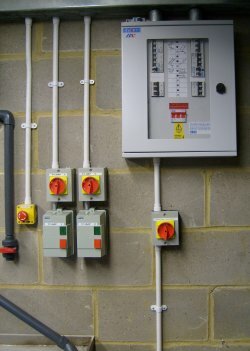 P S Electrical understand the need for compliance with Electrical Safety and Wiring Regulations within your Factory or Industrial Unit. We offer an efficient and reliable service within the Industrial sector including the wiring and relocation of machinery and Industrial plant refurbishments. Cleaning and relamping fittings where required. For a free quote, design or advice please contact our office to arrange an appointment and one of our team will get back to you.